Miss International this year will have a record number of African participants and by this alone, I can say that the pageant is heading into the right direction. Will the pageant change its fundamentals? Will it be more open to non-conventional types of beauties? Will Miss International finally crown a black African beauty? Based on the Hot Picks that our pageant experts came up this week, it looks like Miss International will remain true to its form. Venezuela’s Mariem Velazco leads the pack and this tells us one thing – Miss International will remain Latina friendly. Colombia’s Anabella Castro is on the fifth place, Mexico’s Nebai Torres is on 6th while Panama’s Shirel Ortiz is on 14th. To be fair, Latinas are dominant forces in any pageant anyway so this more like a given. Still, in the past ten years, the Latin American region took six of ten Miss International titles. That’s a whooping 60%. 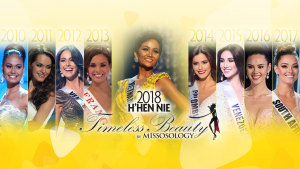 Compare that to Miss Universe – another major international pageant that is deemed Latina friendly – where the Latin American region was victorious in 5 of the last 10 years. So you can see that Latinas have a pretty good chance of winning this year. Another region that is gaining traction at Miss International is the East Asian region. 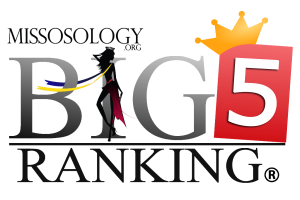 In this Hot Picks our pageant experts have put two Asians on this list – Miss Philippines Maria Ahtisa Manalo on 10th place and Miss Indonesia Vania Herlambang on the 8th place. Take note that the Philippines took the crown in 2016 and Indonesia in 2017. 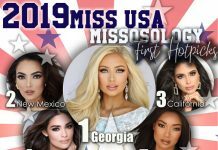 This means that the momentum are on these countries and they have sent these two stunning ladies who are capable enough to take home the crown. Europeans are also in a good position this year. Miss Moldova Daniela Marin, a stunning 20 year old beauty, is on the second place on the list followed by Miss Romania Bianca Tirsin. Other European beauties who made the list are Miss Poland Marta Pałucka at 7th place (just a reminder, Poland won three times at the pageant already) and Miss Czech Republic Daniela Zálešáková at 12th place. Both Australia and New Zealand are on the list. Miss Australia Emily Tokić is at the 4th place while Miss New Zealand Natasha Unkovich is on the 13th place. Quite interesting to note that both beauties have Balkan roots. Canada is also showing some strength with Camila Gonzalez placing a decent 9th place. So this leaves us the question: will the record number of African countries participating translate into something meaningful? Our experts think that Miss South Africa Reabetswe Sechoaro will have the best chance in winning and they placed her at 11th place. Personally, I would love to see her winning and she really has all the qualities that Miss International is looking for. Meanwhile, the other African beauty who made it is Miss Madagascar Esmeralda Malleka who is the first Malagasy delegate to participate in the pageant since 1961.